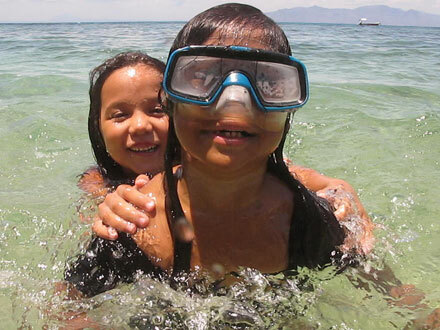 For divers in the know, Busuanga Island is synonymous with world-class wreck diving. Often labeled the Truk Lagoon of the Philippines, the channels between Busuanga and Culion are home to a number of impressive wrecks from a Japanese supply fleet bombed in September, 1944. 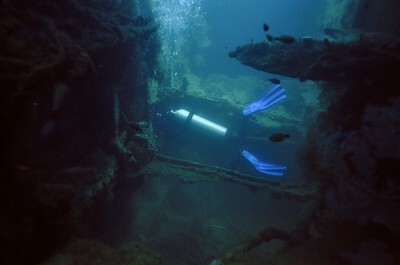 Thomas and I started by diving the Kogyo Maru and the Tangat Wrecks together. The two ships are quite impressive dives with swim-throughs that ease newbies into the complexities and dangers of wreck diving. The Kogyo Maru, a 129m (425ft) navy auxiliary supply ship, rests on its starboard side with coral-encrusted masts and superstructure extending out into the water. Within a mere 66 years, an unbelievably large garden of lettuce coral has developed along its exposed port surface hiding some enormous lionfish. The entire boat was teeming with life. 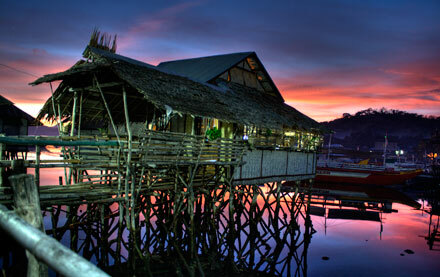 We’ve fled Manila and made our way to Coron Town on the remote island of Busuanga (even the name sounds great). As we mentioned in our posting on the Alma Jane, our new-found love of wreck diving made it clear that we were Busuanga bound. In addition to the wrecks, mysterious nearby Coron Island and fantastic sea kayaking opportunities mean that we’ll dig our heels in for a while here. What does Manila have in common with your email spam inbox? Two things: Viagra and Cialis. 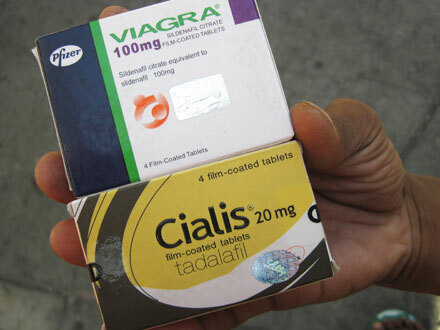 While walking through Malate and Ermita, two of Manila’s traveler-friendly neighborhoods, shifty-eyed men are constantly thrusting boxes of these pills into our faces. At first, I was slightly offended – after all, I’m only 40 – do I look like I need Viagra? But when I talked to a 23-year-old English tourist who complained about the same thing, I realized it had nothing to do with age at all. It’s really more of a testimony as to what’s going on in this part of town: ladyboys, whores, massage parlors, and skanky dive bars. The church and its propaganda posters are everywhere, but it appears that the only thing that seems to really concern Rome is not using birth control. I wish the guys would walk around handing out condoms to the street families. Now that I’m done giving my opinion, just one quick question: Who is dumb enough to buy Viagra and Cialis from some skuzzy guy in the street? 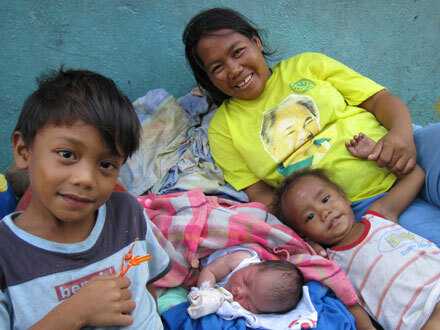 I’m currently working on a German-language article intended for publication back home on a homeless family in Manila. Because meeting this incredible family left such a huge impact on me, I wanted to briefly introduce Isabelle and Ronilo to our readers. 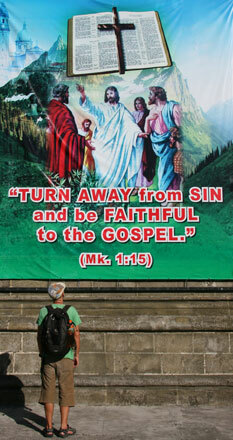 Writing about people living on the streets of Manila was an obvious storyline. Homelessness here is rampant. An estimated 20 percent of Manila’s population lives on sidewalks, under bridges or next to dumps. And as a tourist, you can’t really get away from street children and begging seniors. So, instead of looking the other way, I decided to do an interview with a homeless mother of 6 children. The Most Expensive Visa Extension – Ever! 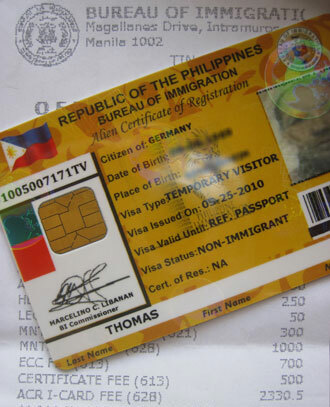 The Philippines is one of the easier countries to get a visa extension, even for longer periods of time. But it comes at a hefty price – and we had to learn that the hard way. While looking for a new camera in Manila, we realized we had to extend our visa NOW. The expiration date had totally snuck up on us and we only had a few days to remedy the situation. Warnings all over the Internet about the Manila Bureau of Immigration made us quite wary. Even Lonely Planet urged not to use the Manila office and warned of long, long lines. We would like to dedicate this posting to our wonderful little G7 which was tragically lost to the waves off the coast of Verde Island. 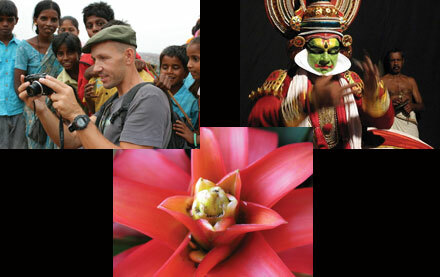 Our little G7 traveled with us from the heights of the Himalayas to the depths of the oceans in the Philippines. From the dense jungles of Sri Lanka to the arid expanses of the Thar Desert, our little snap-and-shoot performed admirably. G7 biked the plains of Bagan, climbed the root-shrouded temples of Angkor, learned to ride an elephant in Cambodia, and explored the waterways of Kerala. Not many cameras get to do so much in one lifetime. Sabang’s incompetent dive shops have caused us quite a bit of pain, but the underwater experience completely makes up for it. With over 40 spectacular dive sites close to shore and plenty of snorkeling off of Monkey Beach and Big La Laguna Beach, we have managed to look beyond the sloppy service and, instead, look at colorful coral, fish and crustaceans. Hold your breath and follow along on our underwater safari. Reputations mean something. Subtly, they can shape your entire experience. 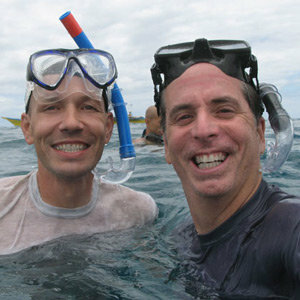 For that reason, when I entered Capt’n Gregg’s for the first time, I felt confident that I was in for some good diving. Recommended by both Lonely Planet and a host of online resources, I felt convinced that Capt’n Gregg’s would be a professional institution with a focus on safety and fun. From the start, I ignored the small signs of pending problems. Why? Because I was blinded by reputation. Reputation which caused me to put my common sense on the back-burner and place my faith in Sabang’s own little dive shop of horrors. The first signs of trouble occurred almost immediately. After signing up for the following day’s dive trip to Verde Island, the shop assistant took us to choose our gear. Sizing Thomas and me up, she handed us both large BCDs. Clearly, this woman had a bad eye for size. If you think evil sea creatures only live offshore, think again. Sometimes, the real danger lingers where the surf meets the turf.